02 (Two) days training programme on Mission “Satyanishtha”- Ethics in Public Governance was held on 02-10-2018 & 03-10-2018 at Staff Canteen HQ/MLG. 87 participants from different Divisions/Units/Workshop participated in this training programme. This training programme was conducted by the trainers. 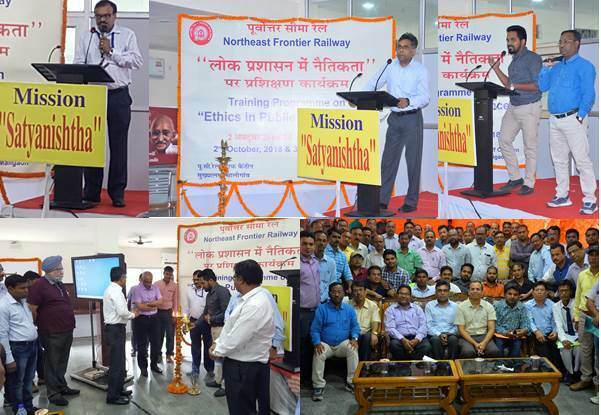 Hon’ble General Manager inaugurated the training programme. All PHODs & other officers also attended the programme. The lamp lighting was done by GM, AGM, PCPO and Trainers/participants.